The aim of the project is to determine the miRN-ome, proteome, and the lipidome of sow’s milk exosomes at different stages of lactation, and to test the effects of feeding with different diets. The Early Stage Researcher (ESR) linked to the project will characterize the miRN-ome, proteome, and the lipidome of sow’s milk exosomes derived from other MANNA projects: The ESR will receive milk samples and blood serum samples of sows and piglets from ESR1 for isolating and characterising milk exosomes by means of OMICS. The miRN-ome will be in focus to assess the miRNA composition of milk exosomes. 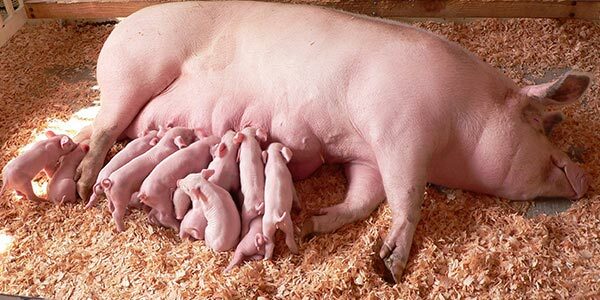 The ESR will identify how the composition of milk exosomes is modified during the transition from the colostral until the weaning stage, and by different ratios of n-3:n-6 fatty acids in the diet, and will compare the miRNAs from milk exosomes with the one in sows’ and piglets’ serum samples. By relating the miRNA-omes to growth performance, immune response and microbiome of the piglets (ESR1), the miRNAs associated with health and growth performance will be identified opening the perspective of developing miRNA supplements e.g. by “exosome-mimetics”. The ESR will be enrolled by the University of Zagreb (http://www.unizg.hr/homepage/) under the supervision of Prof. Vladimir Mrljak and will be awarded a Double Doctorate degree in co-tutelle with the University of Bonn (https://www.uni-bonn.de/the-university), under the supervision of Prof. Helga Sauerwein. The supervision team is completed a non academic supervisor from Dr Mike Salter, from AbAgri (https://www.abagri.com/home) UK. The research will involve secondments to the University of Milan (http://www.unimi.it/), to Porto Conte Ricerche (http://www.portocontericerche.it/), and AbAgri (https://www.abagri.com/home), UK.